As a result of the developing technology, computers found their way into automobiles and their engines. The modern engine's operation is controlled by computers - ECU. Modern engines are controlled by computers which are called ECU or EMS; Engine Control Unit or Engine Management System. Engine operation with computer The ECU controls the functions of the engine and allows a precise management of the engine's operations using a variety of sensors. This precision translates into better engine response and performance along with improved fuel consumption and pollution levels. 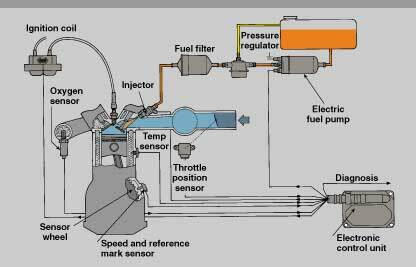 In addition, the engine management system enables control of the engine's temperature and moisture, which provides longer life as well as functional advantages. 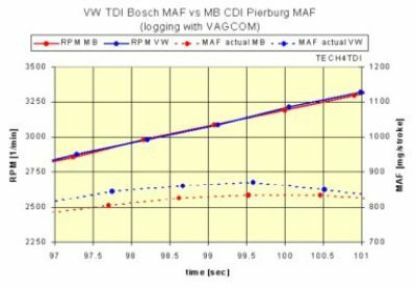 Another advantage of the computerized engine is the ability to perform self "on board" diagnostic. The computer can detect problems which it saves as trouble codes that a professional can output with the scanning equipment. Engine Management System Scheme ECU also allows customizing and changing some of its operations to optimize functionality at any given moment and according to needs. Modern Engine Control Units were introduced due to the technological ability to embed microprocessors that were fast enough to provide a real-time operation. The first computers were used in Formula 1 racing cars, but it didn't take long until regular cars used them as well. N. Eyal & Co. vehicle lab specializes in car electronic systems diagnostics and repairs. The lab repairs all car computers including: Engine Control Units (ECU), Engine Management Systems (EMS), Transmission Control Units (TCU), immobilizer, climate control, speedometers and instrument panels. In addition, we repair ABS controllers, stability control units, sensors and install airbags and seatbelt pre-tensioners.